Looking downstream from the historical sites of Buckingham House and Fort George, near current day Elk Point. An old snag sits above Abraham Lake, which is formed by the North Saskatchewan River. 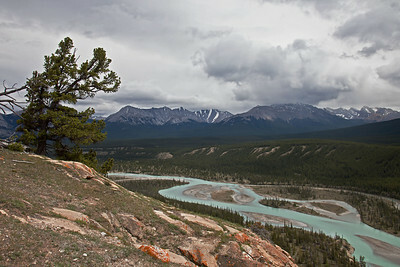 The North Saskatchewan River from Whirlpool Ridge. 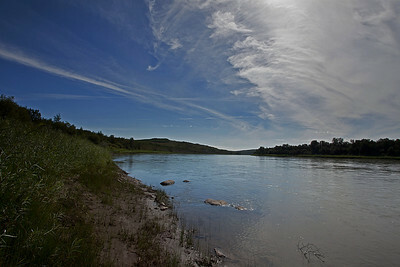 The North Saskatchewan from Whirlpool Point.